José Pineda de Gyvez is Full Professor of Resilient Nanoelectronics in the Electronic Systems groups within the Department of Electrical Engineering at Eindhoven University of Technology (TU/e), where he researches ultra-low power designs, variability tolerance and context-aware computing. 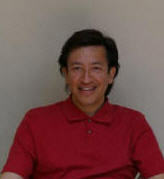 Pineda focuses on semiconductor technology and market intelligence, advanced systems power management and low-power techniques for integrated circuits. He is known for his deployment of systems power management techniques in application domains like microcontrollers, personal health, and the Internet of Things. He is an expert in low-power digital designs, where he has worked on techniques like (near) subthreshold design, DVFS, systems power management, and technology-aware physical design. Pineda became an IEEE Fellow in 2009. Pineda has been Associate Editor in IEEE Transactions on Circuits and Systems Part I and Part II, and also Associate Editor for Technology in IEEE Transactions on Semiconductor Manufacturing. He is also a member of the editorial boards of the Journal of Low Power Electronics and of the Journal of Low Power Electronics and Applications. Pineda has co-authored more than 100 publications in the fields of testing, nonlinear circuits, and low power design. He is (co)-author of four books, and has more than 30 granted US patents. His work has been acknowledged in academic environments as well as in patent portfolios of many companies. Pineda’s research has been funded by the Dutch Ministry of Science, US Office of Naval Research, US National Science Foundation, among others. José Pineda de Gyvez received his PhD from the Eindhoven University of Technology (TU/e) in 1991. Previously, Pineda attended the Instituto Nacional de Astrofísica, Óptica y Electrónica (Mexico) and University of Toronto (Canada), receiving his MSc in 1984. From 1991 to 1999, he was a faculty member in the Department of Electrical Engineering at Texas A&M University, USA. After this, Pineda was Principal Scientist at Philips Research (1999 to 2006). Pineda has worked since 2006 with NXP Semiconductors as a Principal Scientist, as Program Manager of Variability Tolerant Design and as a Fellow in Low Power Innovation; he has been Professor at Eindhoven University of Technology (TU/e) since 2006.